In one case, Los Angeles County paid more than $6 million to a woman who had been raped by a sheriff’s deputy during a traffic stop. 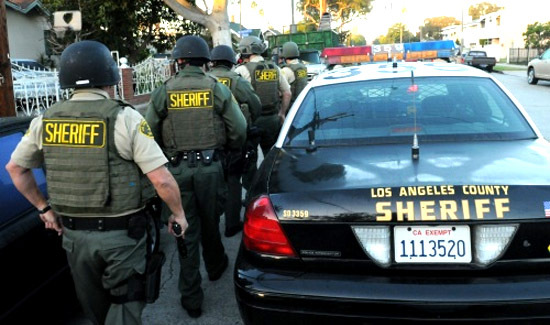 Those payouts from 2016 helped drive a dramatic increase in the cost of resolving legal claims against the L.A. County Sheriff’s Department during the last five years, according to records reviewed by The Times. The county’s annual payouts have jumped from $5.6 million to nearly $51 million over that time. The judgments and settlements often involved allegations of serious misconduct against law enforcement officers, including sexual assault, excessive force, shooting unarmed suspects and wrongful imprisonment. Many of the payouts stemmed from incidents that stretched back several years and were settled after working their way though the legal system — so they don’t necessarily reflect current deputy conduct. But attorneys, government officials and law enforcement experts say the increase nevertheless reflects growing distrust of law enforcement and the intense public scrutiny of how officers use deadly force.